for all your skin care needs because you deserve the best when it comes to your appearance. When you visit Dr. Schlessinger and his advanced team, your appearance will be in the best hands. Instead of focusing on a single concern, we take care of the whole patient. 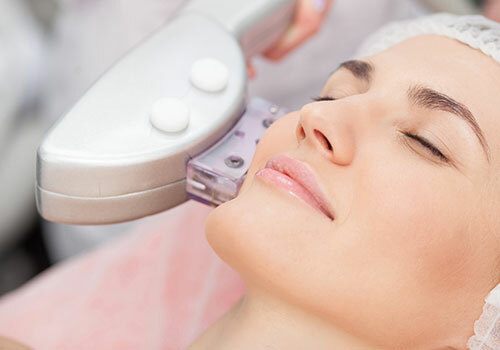 We are proud to offer a variety of unique treatments that help you achieve a more beautiful you from head to toe. Choose Skin Specialists P.C. because you deserve the best when it comes to your appearance. Improve the appearance of frown lines and crow’s feet with Botox, Dysport and more. 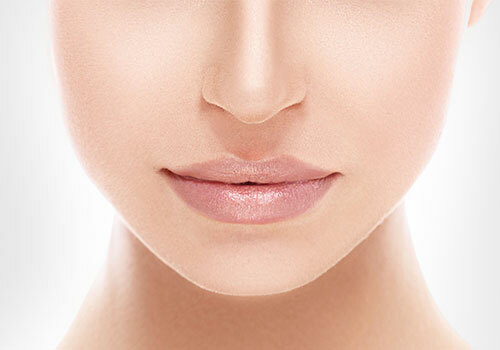 Lift and smooth wrinkles for a more youthful appearance with our selection of dermal fillers. Non-invasive skin tightening and cellulite reducing treatments for smoother, firmer skin. Address areas of stubborn fat with body treatments like CoolSculpting, UltraShape, SmartLipo, VelaShape and more. Skin Specialists is the first in the Midwest to offer CoolSculpting CoolAdvantage. CoolAdvantage allows for faster treatment times, greater comfort levels and a larger cooling area allowing for greater efficacy! Have under chin fat? Try our other new CoolSculpting applicator, CoolMini! 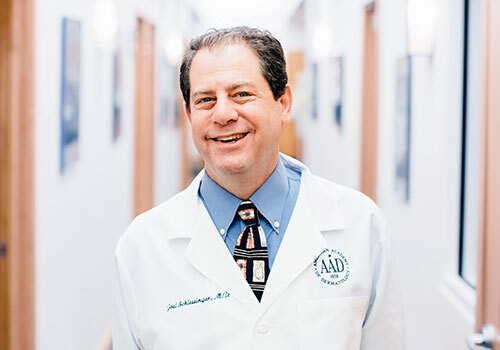 Dr. Joel Schlessinger has more than 20 years of experience as a board-certified dermatologist and cosmetic surgeon. When you visit Skin Specialists P.C., your appearance will be in the best hands. What sets us apart from other clinics is how much we care for our patients. We love taking care of people in a warm, welcoming environment. If you have concerns about your skin, whether it’s a suspicious mole or a mystery rash, seek the expertise of Dr. Joel Schlessinger, board-certified dermatologist, and his team at Skin Specialists P.C. Dr. Schlessinger has the medical background to look at all aspects of your skin condition and will work with you to properly diagnose and treat your skin concerns. I couldn't have asked for better care. I enjoyed everyone that did anything for me. And I want to thank them all. They made everything that was done so easy. Everyone at the office is very friendly and professional. I will never go anywhere else and I recommend Dr. Schlessinger to anyone seeking services such as his. He is very welcoming and makes me feel like he cares. Great team, great level of care! I love how quick and efficient the service was and how friendly the staff were. They smiled all through the entire process. They were very knowledgable about my problem and made it such an easy visit. Can't wait to see the results in a few weeks! Save money on our most popular and modern cosmetic procedures! No more waiting for your cosmetic procedure. We offer special financing options that will work with your budget.